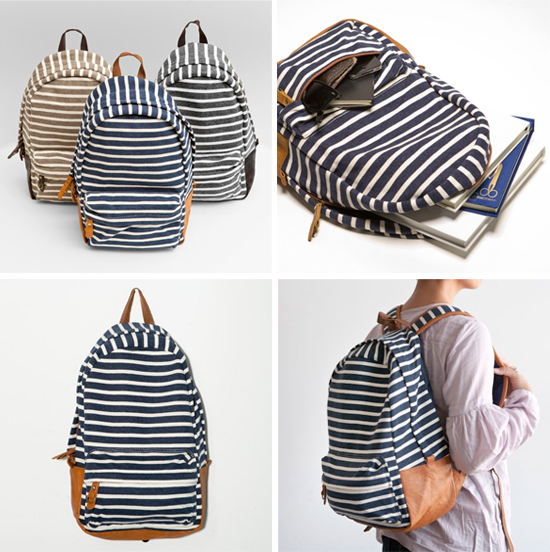 This definitely looks nicer than what I used--I would carry this backpack even beyond classes. The perfect rucksack, blimey. And a great link. cute! would be the perfect bag for summer bike rides. I definitely think I'd carry that around all the time. And it's affordable! They look trendy and perfect for the season. awesome backpack - i love it! love your blog, too. happy to be your newest follower!